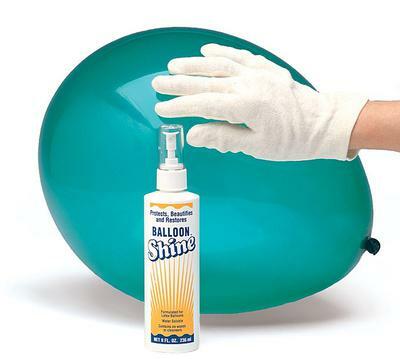 Use Balloon Shine to keep your latex balloons clear and shiny for longer! Hi there! 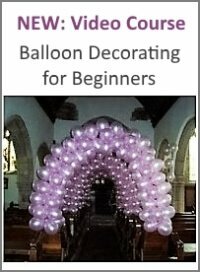 I am new to balloon design and really enjoy it. However, I noticed that latex balloons pick up everything from hair to lint and OMG dust. 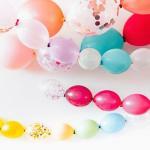 The balloons then look dull and of course 'dirty'. I wipe then down with a damp towel and that does help a little but I need to know if there is something else that can be done. I want the balloons to shine and not pick up anything. Also I have been having a hard time trying to find the big clear trash bag to transport the balloons so it does not take me that long to complete my designs. Where can I get them? Thank you so much. I am sure this will do the trick. Thank you so much. 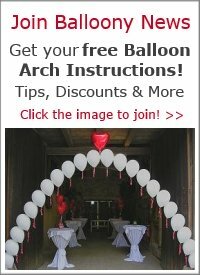 Try coating the latex balloons with a silicon compound (for example "Stay Clear", "Balloon Shine" or "Balloon Shield"). 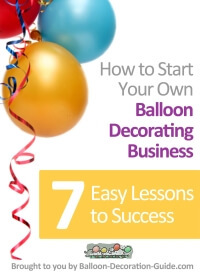 If you spray the balloon with the silicon compound and polish it with a cotton glove, the balloons will shine more and stay clearer longer.